The legendary competitive mode Spies vs. Mercs is back in Splinter Cell: Blacklist, and Ubisoft has released a trailer to get us pumped up for the mode. The multiplayer mode pits the stealthy, gadget-equipped Spies against the more heavily outfitted Mercenaries, making for a unique mode in which each side must play to its own strengths. Debuting in Pandora Tomorrow, the mode was a unique offering and gave gamers something that you really couldn’t find anywhere else. The mode was sadly missing from Conviction, but overwhelming fan request has brought it back with a vengeance. Two things to note here: each side gets a few new toys to play with which could really mix up the game. Secondly. each team now gets four players, when the maximum was previously three in Double Agent. Spies vs. Mercs will be returning with Conviction‘s cooperative mode to round out a robust Blacklist package for fans of the series. Check out the fast-paced trailer below. Each announcement offers more reasons to be excited for Blacklist. Are you going to pick up the game when it releases August 20? 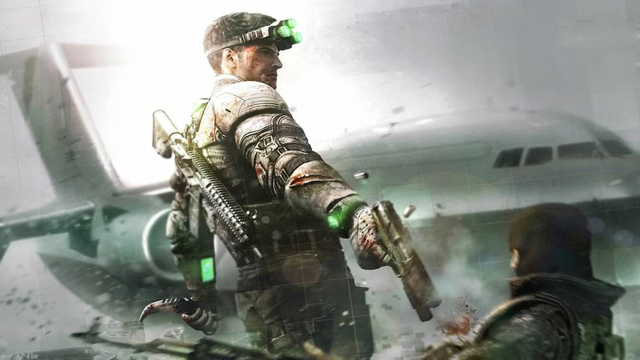 Let us know in the comments, or talk about Splinter Cell in our forums!